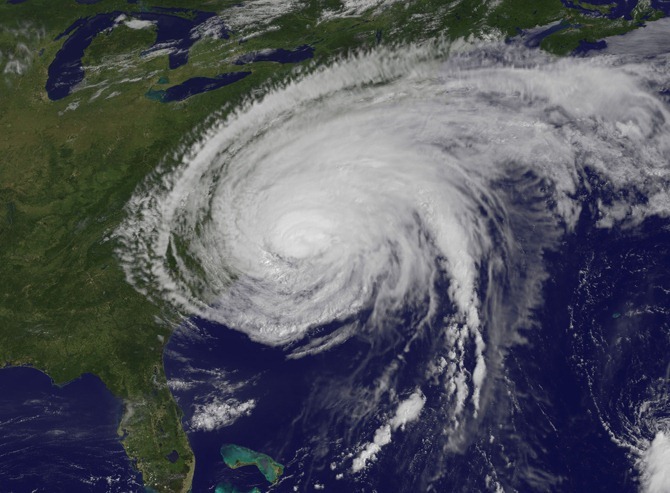 As the date of departure drew close—August 27—Hurricane Irene also drew close. The media certainly overhyped the hurricane as the “storm of our lifetime” for the northeastern coast of the U.S. I compulsively checked the Carnival site throughout the week before the appointed day. Nothing listed—no delays, no cancellations—nothing about our cruise until two days prior when it became clear the itinerary would change. 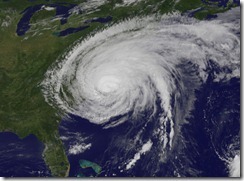 We’ll stop at Halifax first, then St. John, because Hurricane Irene would come very close to, if not hit, St. John. “No problem,” I thought. “Carnival must have meteorologists on staff who will know how this is going to play out.” Denial is a very strong emotion. The day before we set sail, on Friday, August 26, we received a notice from Carnival that we should arrive early at the cruise terminal in New York—they moved up the departure time from 5 pm to 3 pm. So it was clear the cruise would actually take place. I wasn’t too worried, but I kept thinking, “That storm is 500 miles across, and the swirling bands are already reaching up to New Jersey and perhaps even off the coast of New York.” But denial is a strong emotion. No way were we going to forfeit the money we paid and not turn up! If Carnival canceled, we could get a refund. Otherwise, we would be out the money if we didn’t go. In retrospect, I would have gladly given up that money. Saturday arrived and we left for New York, a three and a half hour journey from our home in the Binghamton, NY area. I won’t bore you with details of arriving and embarking—it’s a lot like boarding a large jetliner with long lines and security checkpoints. Once we were on the ship and in our room, we were so excited! The room, on deck 8, was large and well appointed. We had our very own balcony, something I paid quite a bit extra for. We snapped pictures from the balcony of our room, looking right up some of the streets of midtown Manhattan as we waited to leave. As I snapped those pictures and gazed at Manhattan, I couldn’t help but notice the gray clouds hovering across the city, obscuring some of top floors of the tallest buildings. A light rain had started to fall. But denial is a strong emotion. What I was looking at, and frankly could not accept, was the beginning effects of Irene—right there in New York before we had even left port. The ship finally departed around 3:20 pm and we cruised gently down the Hudson River, past spectacular views of buildings. I love New York and seeing it from the river is one of the best ways to see it. We floated past the Statue of Liberty. And then we were called to our posts for a mandatory safety lecture—so we would know how to use our life preservers and which life raft to hop aboard should it become necessary. I also noticed glass cups and other items on flat surfaces were moving around—sliding back and forth. The little card with wet bar prices hooked around the knob of the mini-fridge rocked from side to side like the pendulum of a grandfather clock. It felt like we were on a small roller coaster rocking side to side and pitching up and down. Every now and again we hit a wave that would cause the ship to lurch (and our stomachs to lurch with it). The ship would also shudder and vibrate as if a giant hammer had wacked it on the side. I later heard from another passenger that the swells outside were over 30 feet—no idea if that’s true or not. But I can believe it. I kept telling Judy, “We’ll outrun this! Just hold on honey, in no time at all it will be a distant memory.” I mean, Carnival wouldn’t intentionally run us through a hurricane just for the almighty buck would they? Denial is a strong emotion. In addition to the pitching and rolling, as the night wore on, the howling of the wind outside grew louder. After a few hours of the rocking motion, and perhaps complicated by the poor quality food we were served buffet style after arriving on board, Judy got violently sick. She vomited several times that first night. We elected not to attend dinner but instead stayed in our cabin. She could eat nothing. She could do nothing but stay in bed. I joined her around 9 pm, trying to get sleep. Judy was up by 10, vomiting again. This was not your ordinary vomit but the “puke your guts out” kind—the kind where you hurt and are exhausted because of the effort it takes. I called the infirmary at that point, shortly after 10 pm, and no one answered the phone. I tried repeatedly for more than a half hour, but got no answer. Must have been after hours—or perhaps they were too busy helping others. I stayed up most of the night to monitor Judy—she was sick, flat in bed. Every time we would doze off the ship would lurch and wake us up. I got virtually no sleep the first night—maybe an hour or two at most. The sun came up on Sunday, and when we looked out the window of our balcony we saw clouds, rain and big waves. And the rocking continued. Judy vomited again Sunday morning. This time I did raise someone at the infirmary who told me to order seasick pills from room service. So I did. I won’t belabor the point any more. The hard seas lasted until about 5 pm on Sunday, almost 24 hours exactly from the time they started until you could once again walk down a hallway without stumbling. Because the seas calmed down, and because of the seasick pills, by Sunday night Judy could finally eat crackers and not vomit. We continued to stay in our cabin. By Monday, she was returning to normal and we started to venture out—we hadn’t even toured the ship yet and had no idea where anything was! The rest of the cruise? It was OK. The food was terrible—and I do mean gross. We have always heard others rave about the food on cruises. Not on this one! Other passengers we spoke to complained about the food as well. The entertainment was perhaps the one saving grace of the rest of the cruise. We enjoyed several live musical performances over the remaining cruise. We did get off at Halifax—which was our one and only stop. We spent a few hours Monday night and most of Tuesday touring the beautiful city of Halifax. Our visit to St. John was canceled because we spent so much time trying to outrun Hurricane Irene, we didn’t have enough time to make it to St. John. Fine by us! We only wanted to get back. By Monday, it was clear that we had wasted our money on the cruise. It was also clear that Carnival knew the seas would be rough and someone in management made a decision to send the cruise out—into Hurricane Irene—anyway. Shame on that person and shame on Carnival for sending out a boatload of people on a journey they knew would be half wasted in rough seas. I don’t expect an apology from Carnival. I’m not writing this account to get one. I took a risk, a risk that Carnival would do the right thing by its customers. They did not. So I lost the gamble, all of my vacation money, and five days of my life, on what should have been a happy celebration of our 25th wedding anniversary. I seek nothing from Carnival—least of all a “complimentary” cruise of my choice. I will NEVER set foot on a Carnival “fun ship” again. I publish this account as a warning to anyone considering a cruise on Carnival. Take your money, and your time, to a cruise line that actually cares about its customers and doesn’t send them out into a hurricane just to make a buck. Will Judy and I ever go on another cruise? Not likely. At least not any time soon—until this bad memory has had time to fade. Hopefully in the future I’ll listen to my inner voice and not deny what’s right before my eyes. Oh dear 🙁 what a nightmare. Glad you guys made it out alright! I will take the warning to heart! I hope that you will go again. Jen and Derek’s cruise was fantastic, but my sisters and brother-in-laws also were not great ( 2 different families). Your story was great, but sorry you had such an awful time when it should have been memorable in good ways. jpmfzkbnftxjmmjt, Hgh reviews, tejtSTC, [url=http://personalhghblog.com/]Hgh hormone releasers[/url], CldfAwr, http://personalhghblog.com/ Hgh diet, UCUagNc. Die Volksstimme-Ausgabe fÃ¼r den November 2012 ist erschienen und unterwegs zu unseren AbonnentInnen. Die meisten Intimtattoos heilen bei richtiger Pflege innerhalb 2 Wochen ab. Anfangs spielten unsere Zungen nur ganz zart miteinander, doch schon bald genügte mir das nicht mehr und ich fing , seiner Unterlippe zu knabbern. Live Telefoncam ganz nach Deinem Geschmack. Wer bei uns keinen passenden neuen Partner findet, dem kann nicht mehr geholfen werden.